Daina Lightfoot graduated in 2010 from the Centre for Arts and Technology in Kelowna, B.C. and then moved to Vancouver to begin her design career. 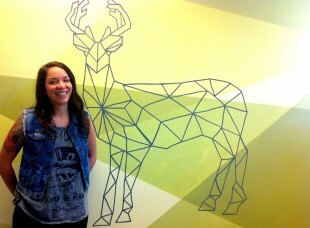 At HootSuite she works on web design, swag items (and now stag items) and company branding. Now, she has one more thing to add to her artistic resume. 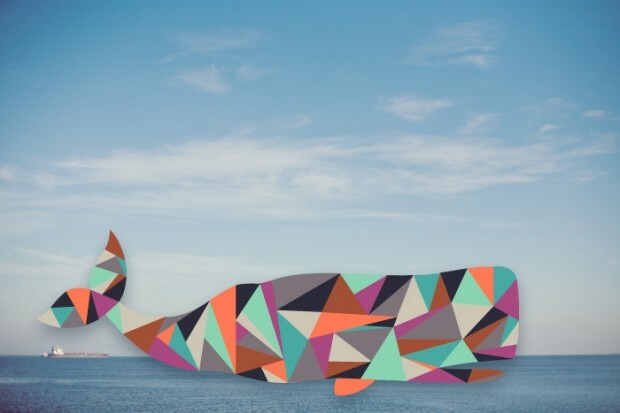 “The mural is called “The Stagette,” which really doesn’t make sense, but then neither does a geometric stag floating in the middle of green light beams..” – Daina Lightfoot. Keeping with our west coast theme and Owly mascot, each meeting room is named after a different owl, according to size (of both the owl and the room). Daina chose the “Snowy” meeting room for its windows that project beams of light across the wall. And, as a fan of geometric art, Daina designed her mural with these light beams in mind. 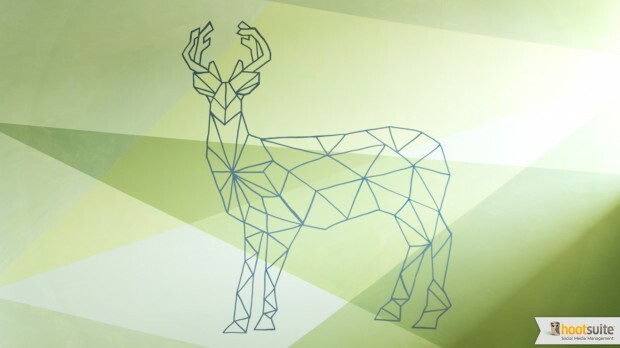 But why project a geometric stag on the wall of a room named after Snowy Owls? As a HootSuite designer, Daina is inundated with owls. After spending a good percentage of every day designing owls, friends and family naturally think of her when they see owl-related gifts… Let’s just say the stag is a welcome change for her. With the help of another talented HootSuite designer, Jason Esteban, they transformed a blank wall into a contemporary work of art. Step one, create and perfect the design in illustrator. Step two, tape off light beam sections at every angle. Mix the color palette of each individual triangle. 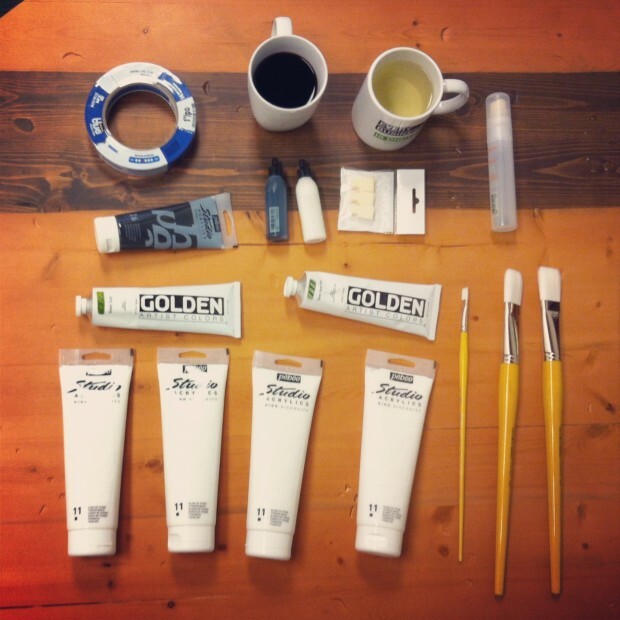 Paint and let dry. Project the design of the stag on the wall, trace the stag with paint pens and perfect each line. Total time: 5 1/2 hours with the help of a dedicated friend. Voilá! We have a contemporary work of art, a transformed meeting room and you have a new wallpaper – free for download. Everyone wins. +1 for Daina and Jason. A special thank you to Daina Lightfoot for creating this masterpiece from scratch and to her amazing assistant, without whom “The Stagette” would not be possible. Your mural has transformed our meeting space and will stimulate conversations and inspire creativity going forward. We’ll be adding even more wallpapers to our media page, so make sure to keep checking back for updates! And keep an eye on our blog to see more featured artists, news, updates, tips and more.